Most times when people are saved they begin to think about how they can become active in serving God. Every person’s experiences are different so they have to look into their own lives and determine by prayer and bible study where they can fit in. For some this is easy because they have a burning desire to be involved in a ministry that they are deeply concerned about. But for others, it may take some time. Praying, studying, and familiarizing themselves with their Church’s ministries and outreach programs or even looking into studying to be a pastor can lead one to make the right decision. There is something for everyone God has made sure of that. Your abilities are what set you apart to do your service in the body of Jesus Christ. It is important that we don’t set idle and do nothing but maybe warm a pew on Sunday. The Apostle Paul admonishes us to imitate him as he imitates Christ. Paul worked at serving Christ just as Christ worked at serving God the Father. (John 9:4) God wants you to realize what your abilities are to use them and never look back. Romans 12: 6 Having then gifts differing according to the grace that is given to us, let us use them: if prophecy, let us prophesy in proportion to our faith; 7 or ministry, let us use it in our ministering; he who teaches, in teaching; 8 he who exhorts, in exhortation; he who gives, with liberality; he who leads, with diligence; he who shows mercy, with cheerfulness. Where do your abilities come from? Are they part of your natural carnal self that you were born with? Could there be a spiritual connection inherit in man that God uses to draw man to Himself? 1 Corinthians 4:7 For who makes you differ from another? And what do you have that you did not receive? John 3: 27 John answered and said, “A man can receive nothing unless it has been given to him from heaven. Now that your abilities are properly channeled toward Christ know that God will bless you immensely. The joy of the Lord will fill your soul and the cares of this world will be pushed out of your life by your ministry. I pray that your ministry will bear much fruit and be a witness to those who God is calling to salvation. In Jesus name, amen! 1 Peter 4:11 If anyone speaks, let him speak as the oracles of God. If anyone ministers, let him do it as with the ability which God supplies, that in all things God may be glorified through Jesus Christ, to whom belong the glory and the dominion forever and ever. Amen. 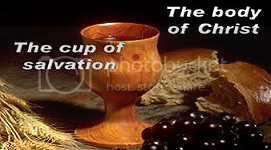 Categories: Devotionals | Tags: abilities, bible study, body of Jesus Christ, Church ministries, fruits of the Spirit, grace, imitate Christ, Kingdom of God, ministry, outreach programs, parable of talents, pastor, prayer, spiritual growth | Permalink. There is a day coming when we shall see Jesus as He is and we will be as He is. (1 John 3:2) We will be in the Kingdom that He promised to us and He said that He was going to prepare a place for us in heaven. The joy we will have is really beyond human description because we cannot grasp the awesome difference between heaven and earth. His appearance is will be vastly changed. Giving us an idea of what is in store for us. Ezekiel 1: 26 And above the firmament over their heads was the likeness of a throne, in appearance like a sapphire stone; on the likeness of the throne was a likeness with the appearance of a man high above it. 27 Also from the appearance of His waist and upward I saw, as it were, the color of amber with the appearance of fire all around within it; and from the appearance of His waist and downward I saw, as it were, the appearance of fire with brightness all around. 28 Like the appearance of a rainbow in a cloud on a rainy day, so was the appearance of the brightness all around it. This was the appearance of the likeness of the glory of the LORD. Why do I say it is what is in store for us? Because Jesus said that He is going to share His throne with us as His Father shared His throne with Jesus. (Revelation 3:21) We have an exceedingly high calling of joy to look forward to. Jesus reveals to us His thoughts of how great a joy it is to be in heaven and set on the throne of God. He felt so strongly for it that He literally sacrificed himself for it. Hebrews 12:2 looking unto Jesus, the author and finisher of our faith, who for the joy that was set before Him endured the cross, despising the shame, and has sat down at the right hand of the throne of God. How much should we sacrifice? How much do we want it? 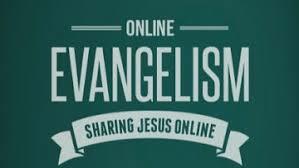 Are we willing to follow Jesus example and give our life wholly to Christ? Doesn’t the scripture say we are to be “living sacrifices”? 1 Thessalonians 2:19 For what is our hope, or joy, or crown of rejoicing? Is it not even you in the presence of our Lord Jesus Christ at His coming? We must pray that we will be counted worthy to escape what is about to come to this world and by enduring we will be able to stand before Jesus Christ when He comes again for redemption. Dear Lord, I pray to You to tell You how much I really enjoy and delight in You. I long for that day when I will be filled with joy to see Your face. In Your Holy Name, Amen! Categories: Devotionals | Tags: 1 Thessalonians 2:19, appearance of Jesus, Ezekiel 1:26, Father, glory of the Lord, God's throne, heaven, Hebrews 12:2, Jesus Christ, joy of our Lord, Kingdom of God, living sacrifices, pray, redemption, Second Coming of Christ, the cross | Permalink.